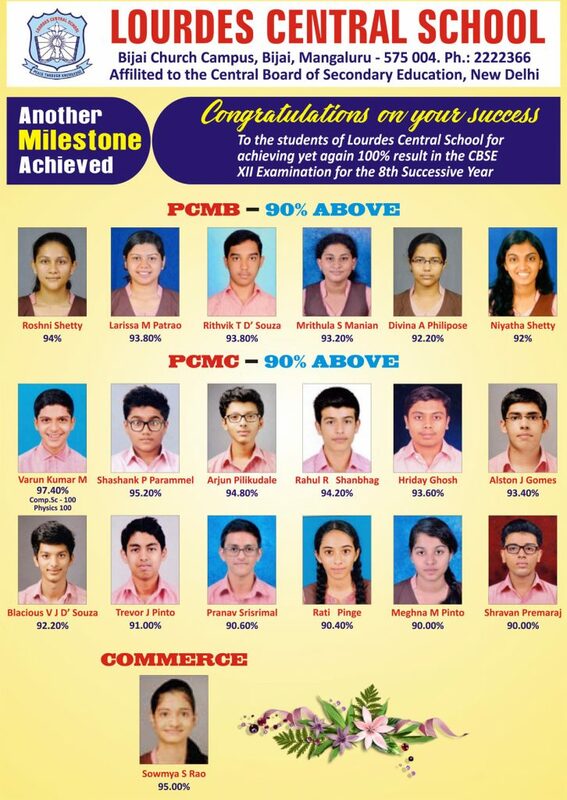 Lourdes Central School secured 100% results in class XII CBSE examination held in March-April 2017. Out of 58 students who appeared for the exam, 19 students secured 90% and above marks. and they are the top scorers of the school.